The point of a Virtual Data Center is part of the abstraction tenet of the SDDC, to provide resources to applications, business units and projects without their owners having to learn or understand anything about the underlying vCenter resources. A company might have multiple Virtual Data Centers to represent different company departments or maybe service levels. I would think VMware would build up on the supported configurations with multiple vCenters in a single site sometime soon and hopefully ending up in a global geographically separate configuration where by policy you could deploy an application anywhere in the world based on Virtual Datacenters. 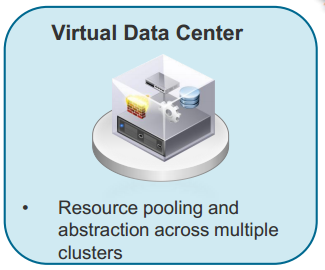 A business owner would not have to decide that a VM needs to be on a particular cluster in Singapore but would specify that a VM needs to be in a geographical area for say legal reasons, and is a production VM with SQL installed and the Virtual Data Center will ensure it is placed on the correct hosts in the correct cluster in the correct site.